Authenticity has become a widespread ethical ideal that represents a way of dealing with normative gaps in contemporary life. This ideal suggests that one should be true to oneself and lead a life expressive of what one takes oneself to be. However, many contemporary thinkers have pointed out that the ideal of authenticity has increasingly turned into a kind of aestheticism and egoistic self-indulgence. In his book, Varga systematically constructs a critical concept of authenticity that takes into account the reciprocal shaping of capitalism and the ideal of authenticity. 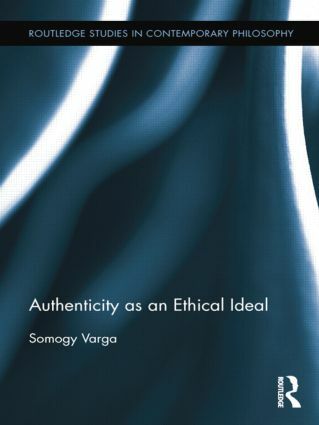 Drawing on different traditions in critical social theory, moral philosophy and phenomenology, Varga builds a concept of authenticity that can make intelligible various problematic and potentially exhausting practices of the self. Somogy Varga is a Visiting Researcher at the University of Copenhagen. He is also a postdoctoral researcher at the Institute of Cognitive Science, University of Osnabruck, Germany.